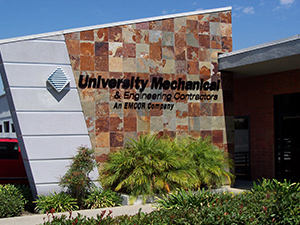 As Southern California's leading value-added mechanical contractor, University Mechanical & Engineering Contractors, Inc. (UMEC) is backed by the strength and stability that come with almost a century of customer care and ownership by a Fortune 500 (NYSE) corporate parent. Providing mechanical contracting services that focus on clients' requirements, UMEC offers industry-leading building information modeling (BIM) capabilities, design/build services, sustainable solutions, commercial HVAC services, and complex mechanical and industrial system installations. As a service-oriented, cost-effective, schedule-driven organization, UMEC adheres to the highest safety standards, meets milestone and completion schedules, and strives to provide the most valuable solutions to each and every client. Developing client relationships is the key to repeat business and success.